and Mojo 2011 Folk Album Of The Year for Ragged Kingdom with June Tabor. And over the years, 5 times BBC Radio 2 Folk Awards winners, hey! 29-track collection may be surprised by the depth and range of the content." 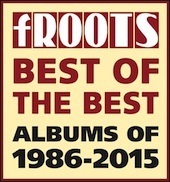 After they announced the results of the 30th annual fRoots Critics Poll for Albums Of The Year in December, the magazine invited the public to vote online for their one favourite album out of all the winners and runners up in every year’s Critics Poll since it began in 1986, 120 albums in all. Massive thanks to everyone who voted for us… only one act with two entries in the top ten! Please note there will be no Big Session Festival in 2019. We’re extremely grateful for the work and collaboration provided by Buxton Opera House in the last couple of years, but we feel the need to take a time-out from the idea. Our apologies to regular Big-Session-goers, who may well feel disappointed, but we hope to see you at the many other events in our calendar. New in the online shop - the return of the Oysterband Badge. We found one on an ancient leather jacket (sigh...) and remembered we used to really like them many years ago. Finally we've had some manufactured again, in hand-enamelled nickel - they look slightly different now, but the quality is better. And the little running man is still running. We're very pleased to say the LYRICS section of this website is now up and running at last. Our thanks to Giolla Decair and Caz White, who did most of the work. At 150+ songs it was no small task. Now we can resolve those dressing-room arguments about "How did that one go?? ".....though possibly not the ones about which key it was in. 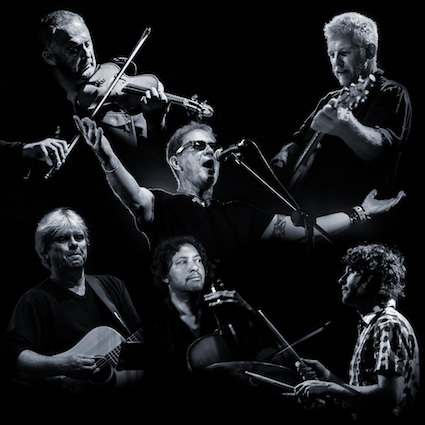 The latest Oysterband studio album Diamonds On The Water was our first collection of entirely new material in (gulp!) 7 years. 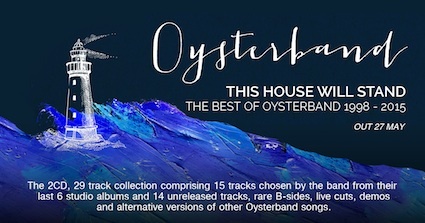 Naturally CDs are available from our website shop as well as from Navigator Records www.navigatorrecords.co.uk/artists/oysterband and your usual retail outlets. Buy early, buy often! Downloads are available at https://itunes.apple.com/gb/album/diamonds-on-the-water/id771969865?uo=4&at=10l9qC (whole album only). 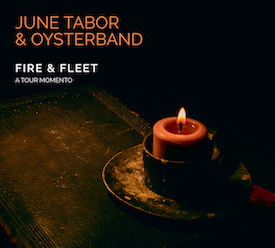 And you can view the CD booklet and digipak images here. - and who are we to disagree? You can hear many of these new songs live at any of our upcoming gigs, so get your tickets now! If goods you receive from us are damaged or unsatisfactory, we will replace, refund or exchange them (at your choice) up to the same listed price. This does not affect your statutory rights. We wrote this because it's something we really wanted to say, and because everywhere we've been on tour lately, we've found other people wanting to say similar things. We know not everyone who listens to Oysterband shares our politics, but if the song expresses your feelings too, please pass it on.